Grandmaster William C. C. Chen was born in Chekiang, China. He started teaching Tai Chi Chuan at the beginning of the 1950s while training as a live-in student of the famous Great-Grandmaster Cheng Man-Ching who preferred to be called Professor Cheng. Besides being the youngest of Professor Cheng's senior student, he was also a favorite disciple. In the 1950s he was involved competitively in the various free-style, Chinese Wushu. In 1958, he won second place in the Taiwan National Olympic Competition. Grandmaster Chen has devoted his life to the study of body mechanics and the effects of Tai Chi Chuan for art of self-defense as well as on physical health, and to the application of the principles of Tai Chi Chuan. 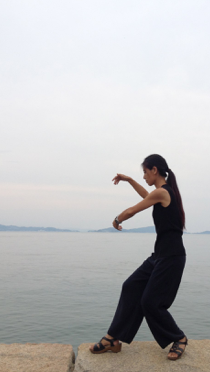 His approach is to make Tai Chi Chuan simple, easier, natural, enjoyable and productive. He has been a teacher since 1952 in Taiwan, Singapore, Malaysia, Thailand, Hawaii and the U.S. West Coast. 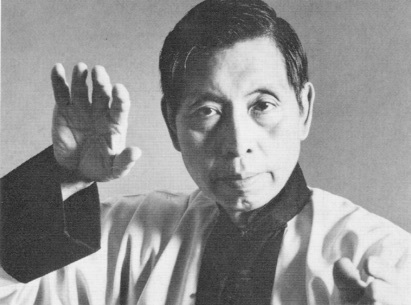 In 1965, he established the William C. C. Chen Tai Chi Chuan in New York City's Chelsea area. He is invited to give special seminars on his Body Mechanics of Tai Chi Chuan on a regular basis in Asia, southeast Asia, Europe and throughout the United States. Regarded as one of the finest and most influential traditional internal stylist of his generation, William C. C. Chen is IKF's choice for "Man of the Year" Inside Kung-Fu's first HALL of FAME of the millennium. Grandmaster William C. C. Chen appeared on Cable TV's "The Learning Channel" on July 7th 2000 and then several times again in 2001 and 2002. It might not be easy for us to be calm and relax all the time. I sometimes feel tension mentally and or physically when I face something unexpected. Often called “Meditation in Motion,” Tai Chi movements help us mentally focused and relaxed, relieving tense muscles and lubricate joints that promote automatic body alignment and a solid center of gravity. My Tai Chi teacher Grandmaster William C. C. Chen always says the mental concentration, deep breathing, relaxing, sinking and pressing, generates a marvelous inner energy flow throughout the system. 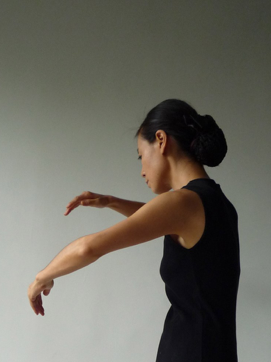 We practice Tai Chi movements slowly, carefully, and peacefully in the class. The focus and calmness cultivate the meditative aspect of Tai Chi Chuan as necessary in maintaining optimum health as well as being a form of self-defense. He also says the full exhalation increases lung capacity for incoming oxygen. The more oxygen we have in our system, the more energy we produce and the healthier we are. He also says that the motion of Tai Chi Chuan helps to regulate the nervous system, and reduce anxiety, stress and depression. It is a positive result of mental and physical fitness and spiritual well-being. In the class you will learn Tai Chi Chuan 60 Movements with me that are derived from the Traditional Yang Style Form by Grandmaster William C. C. Chen. Regarded as one of the finest and most influential traditional internal stylist of his generation, Grandmaster William C. C. Chen is IKF's choice for "Man of the Year" Inside Kung-Fu's first HALL of FAME of the millennium. He also appeared on Cable TV's "The Learning Channel" on July 7th 2000 and then several times again in 2001 and 2002.